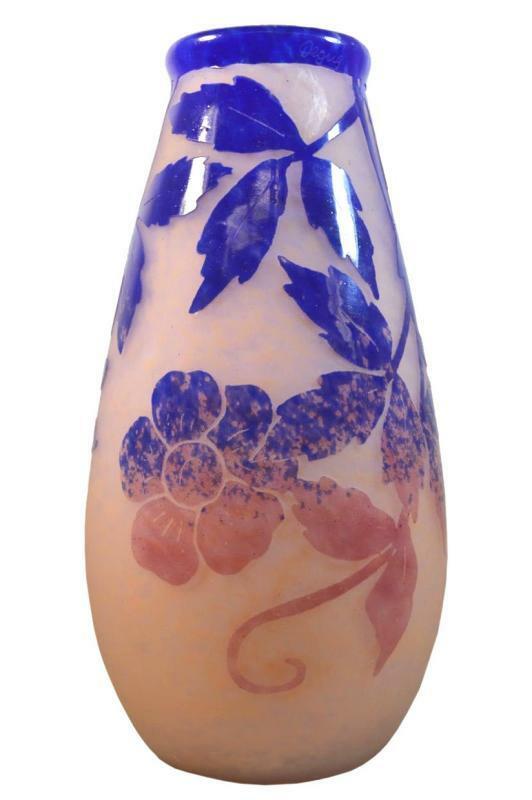 This fine Art Deco period cameo glass vase from Verrerie d’Art Degué of Paris, circa 1930, features a mottled apricot ground overlaid in rich blue and peach colors, shaped with flower petal and vine motifs. 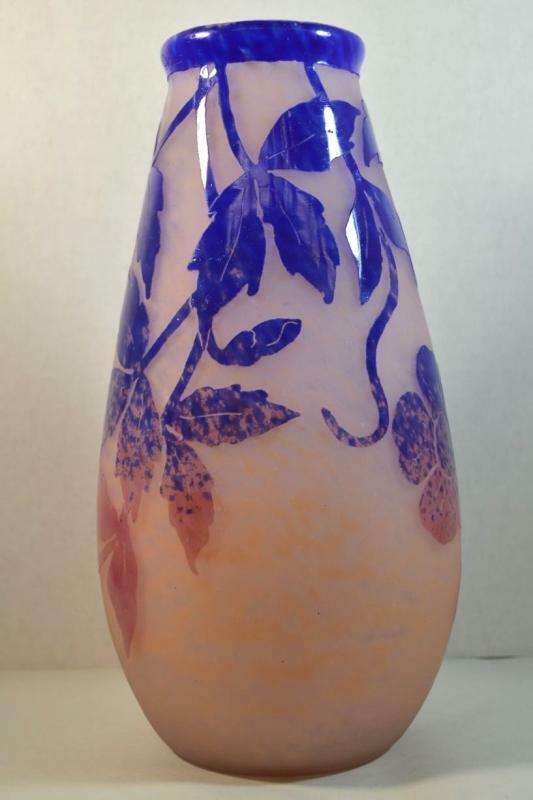 Height: 11.5 in; 29.2 cm. 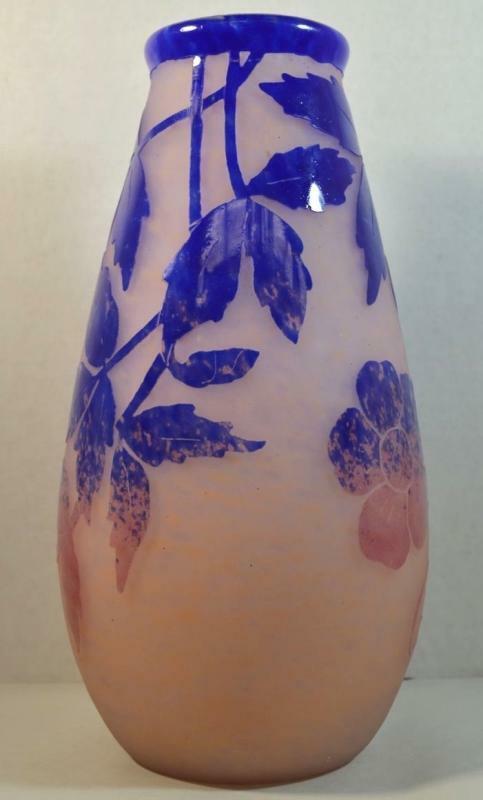 For a similar vase, see lot 166 of Sotheby's sale on February 27, 2003 in Olympia, offered with an estimate of 1,800-2,200 GBP which sold for 2,040 GBP. 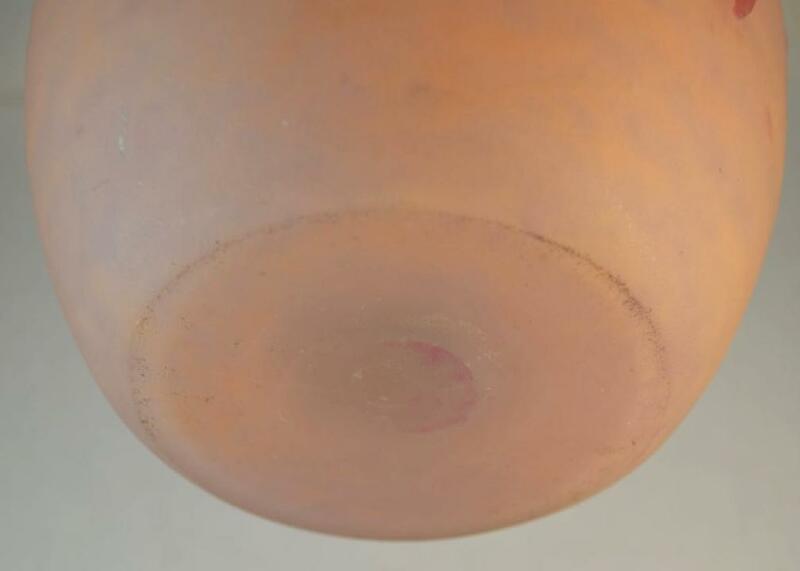 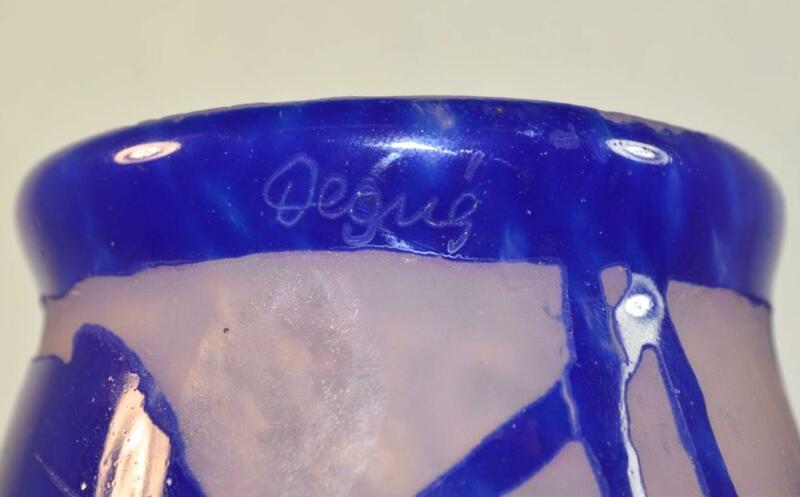 Items Similar To "Degue French Art Deco Cameo Glass Vase"